I would like to thank Hakkasan Bistro for inviting me to their complimentary dinner and wine pairing media event. The restaurant is located in a primarily industrialized area in Richmond where nobody really notices it. Their culinary cooking style and traditional dishes originate from the Hakka culture with strong emphasis on using “wok hay”. By using a wok to stir fry, they can generate an overall quality of their flavour and taste in their dishes. I definitely brought my appetite as I was anticipating for this dinner to come. I got to sample 10 of their most popular dishes from their set menu. All of the following opinions are my own and the dinner was comped. The nicely plated appetizer consisted of Jasmine Tea smoked Mushroom Bean Curd Crepes, Balsamic Cloud Ear Mushroom, and Honey Roasted BBQ Pork Cheeks. It was a simple dish with all of my favourite items on there. 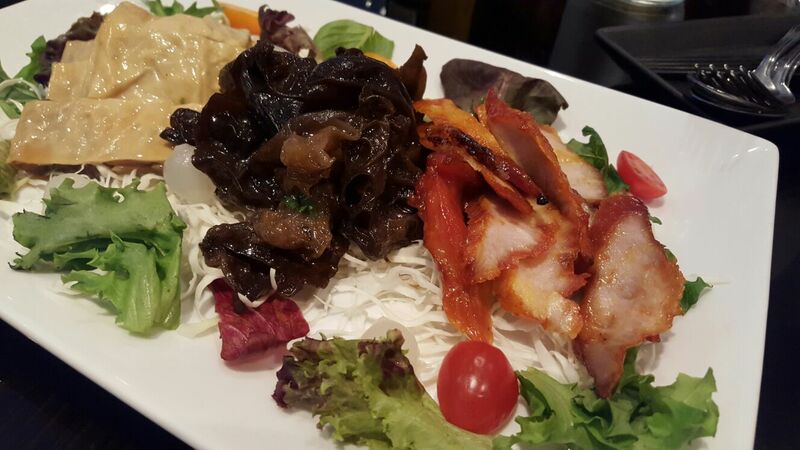 I found myself to be reaching for the cloud ear mushroom the most as I really love the vinegary taste of the balsamic which helped boost my appetite. This was definitely one of my favourites of the night. 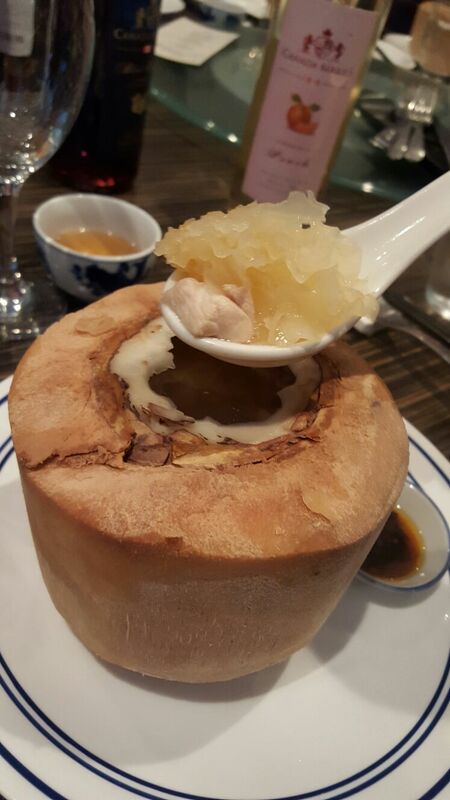 The lightly roasted, hollowed out young coconut brought a fine sweetness to the chicken consommé soup base which was perfect for that particular cold rainy night. Inside the soup were very tendered diced up pork meat and snow fungus. 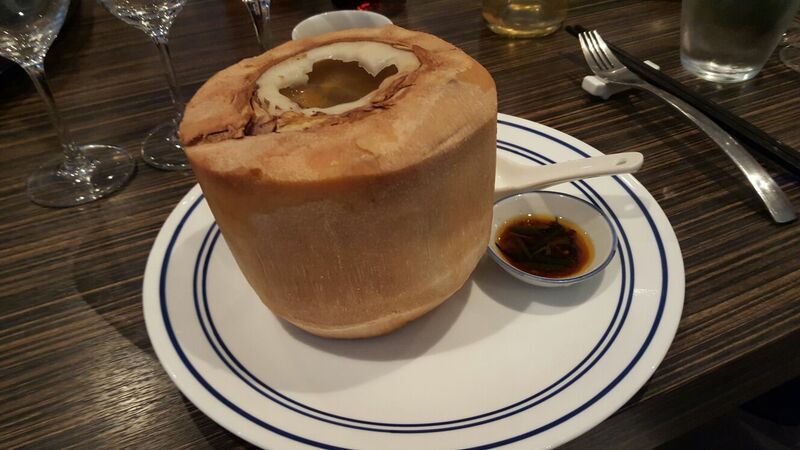 Our server encouraged us to use our spoons to scrape as much of the insides of the coconut as we can and enjoy it with the rest of the soup. 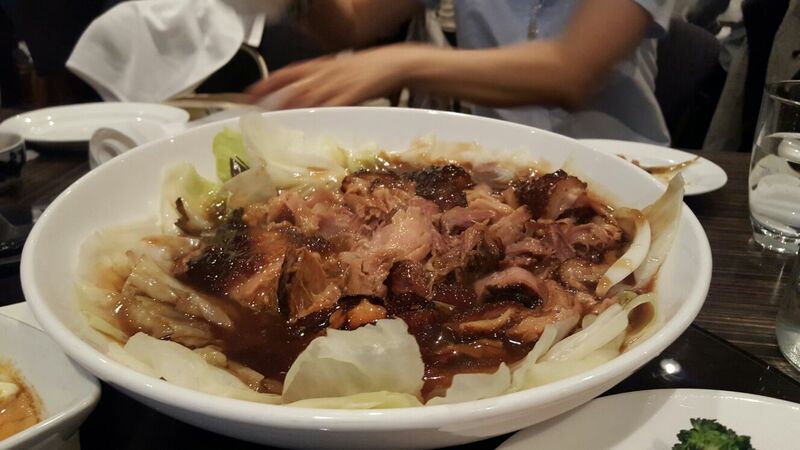 This is one of the Chef’s specialties as it is double boiled for over 3 hours and the quality of the soup shows. 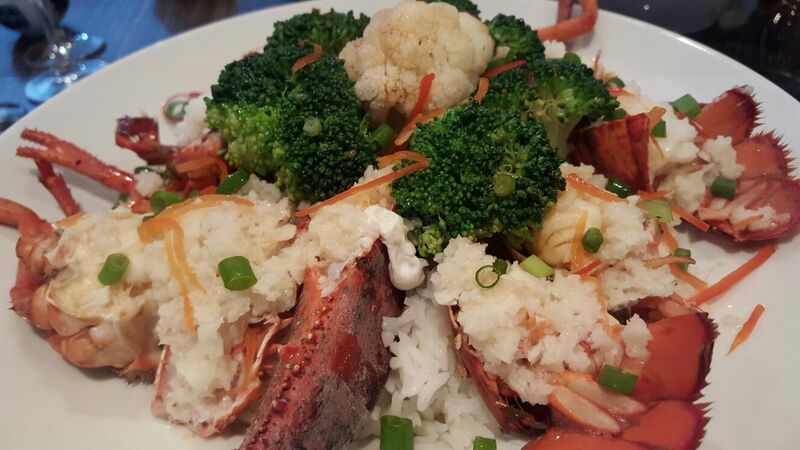 There was a generous amount of breath-friendly garlic spread evenly on each piece of steamed lobster. The garlic really soaked in well with the jasmine rice, leaving a nice flavouring to it. The title of this dish really stuck true to its words as it did not leave behind a garlic aftertaste in my mouth. 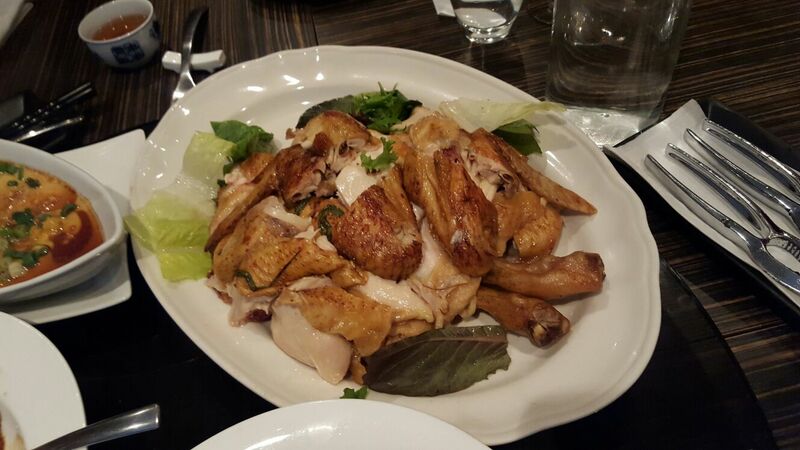 The free range chicken was supposedly marinated with a combination of ten flavourful Chinese herbs and spices, then wrapped with parchment paper and cooked in a rustic slow-baking technique in a clay pot covered with hot coarse salt. However, I thought the chicken could have been a bit more saltier and have more in depth flavouring to it. Nevertheless, the meat itself was very tender and full of juiciness. The fish fillet was one of the tastiest dishes of the meal. Each piece was very soft and tender . 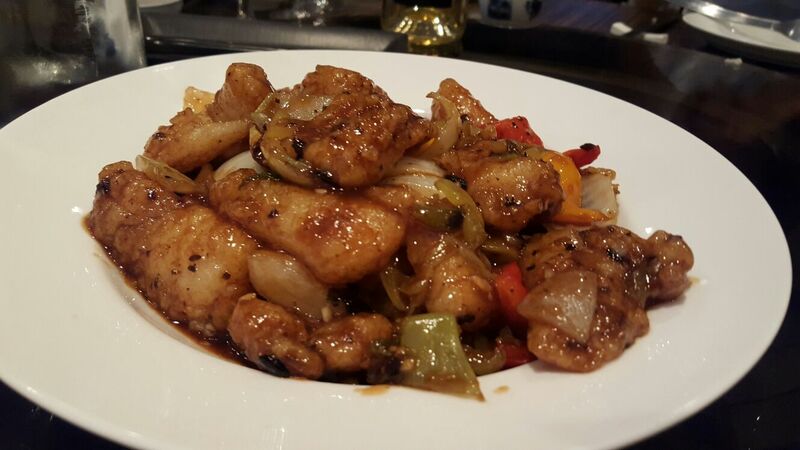 The peppers and onions provided sweetness and a crunchy texture which complemented the fish well. This was my least favourite dish as I’m not a fan of pork hock in general. In particular, I’m not a really big fan of the fatty parts. Hakkasan’s pork hock was slightly on the saltier side and I ended up not eating this dish much. This simple classic dish made me reminisce of the past when my grandma would make this for dinner with rice. 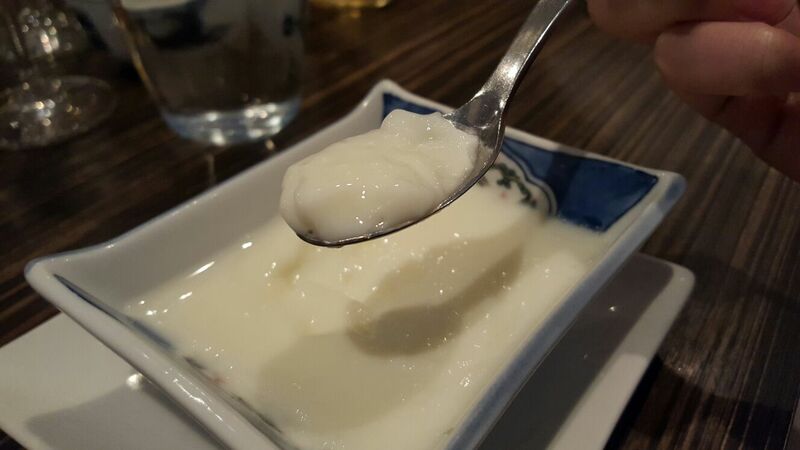 The steamed egg had a very smooth and silky texture. 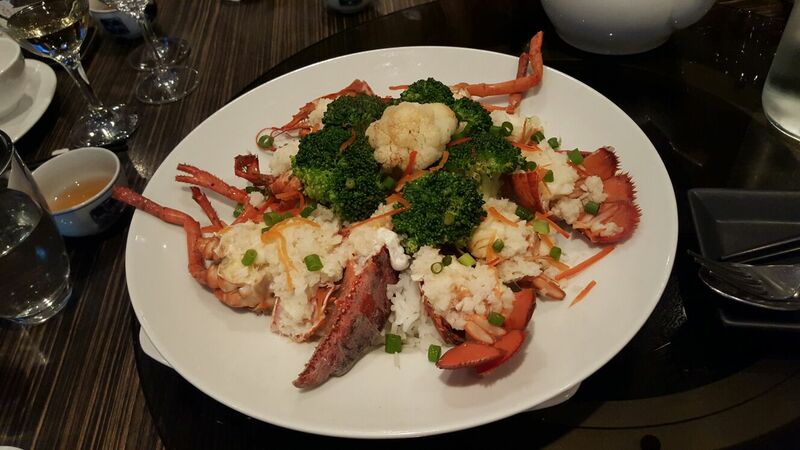 A dinner does not count without a plate of vegetables. 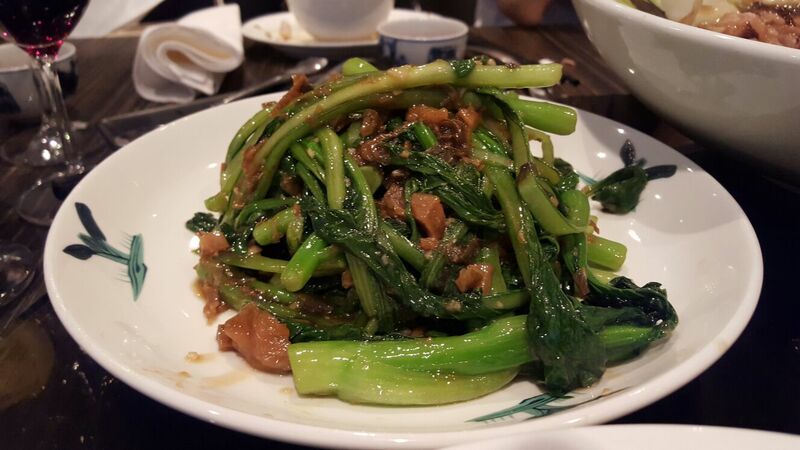 The mui choy adds another level of depth to the stir fry greens as its sweetness drew in a nice tasty flavour which would be delicious when eaten with rice. 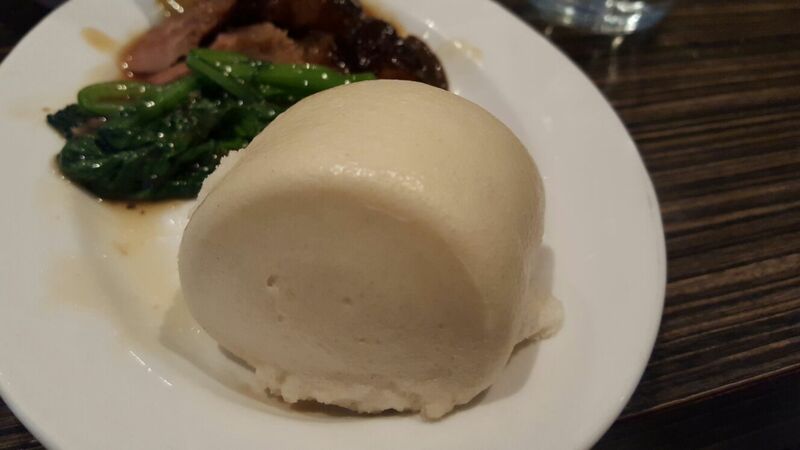 The steamed bun was very soft and fluffy. 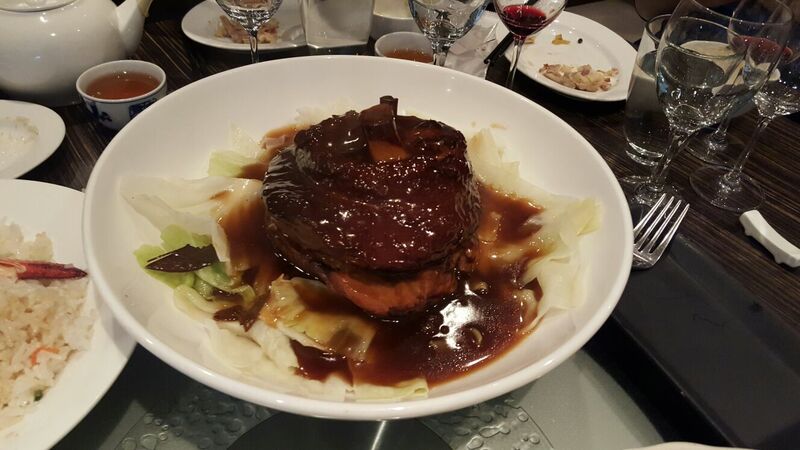 It tasted amazing on its own, but even better when dipped in the braised pork hock’s sauce. 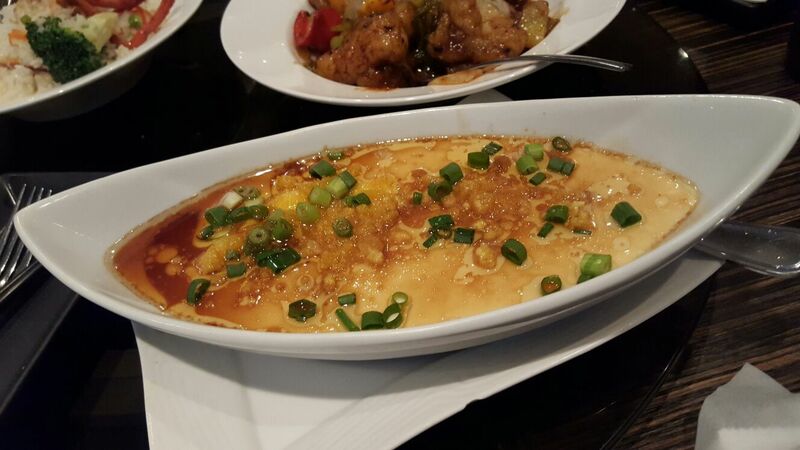 Lastly, we were served a very firm, silky, and smooth textured egg custard to end the night. Although this was a simple dessert, I still enjoyed it especially since it was not overly sweet. 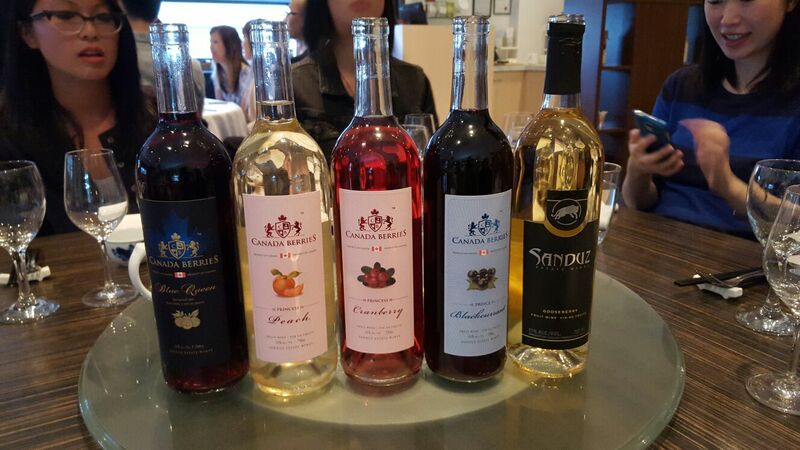 Canada Berries Winery also provided us with wine during dinner, but I am typically not a wine drinker so I passed on that. Overall, I had an amazing time with my other foodie friends. I believe this restaurant deserves a lot more recognition and credit for their traditional and unique dishes. Without a doubt, they have a lot to offer in their menu!